Chief Minister, Jon Stanhope led a delegation to Dili in June 2004 for the official signing of the Canberra Dili Friendship Agreement. 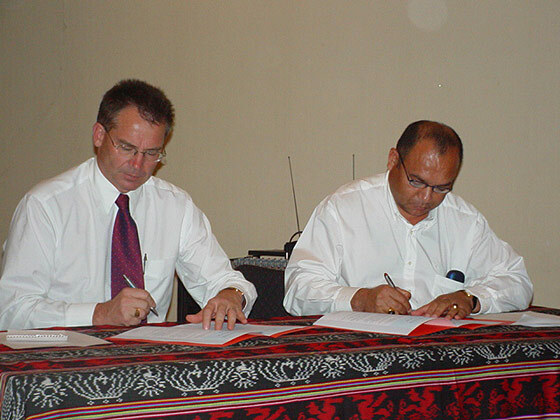 On 7 June 2004 Mr Stanhope and Mr Ruben Braz de Calvalho, Dili District Administrator, signed the Agreement on behalf of the two cities. The Canberra Dili Friendship Agreement aims to build friendship and mutual respect between Canberra and Dili and to promote educational, cultural, economic, humanitarian and sporting links between the two cities. The Friendship Agreement was an initiative of the Canberra Friends of Dili and provides the umbrella for relationships between the District of Dili in Timor- Leste, the City of Canberra, and members of these communities. Canberra’s commitment to the Canberra Dili Friendship Agreement was reaffirmed on Wednesday 10 May 2006 by the ACT Chief Minister, Jon Stanhope at the Legislative Assembly. Beyond the confines of the Friendship Agreement, the ACT Government assisted the East Timorese establish an interim Embassy for Timor-Leste in Canberra, located in the former Griffith Primary School. This was handed over by ACT Chief Minister Jon Stanhope to East Timorese Ambassador Jorge Da Conceicao Teme in December 2003, and served until a purpose-built Embassy was completed in 2009. 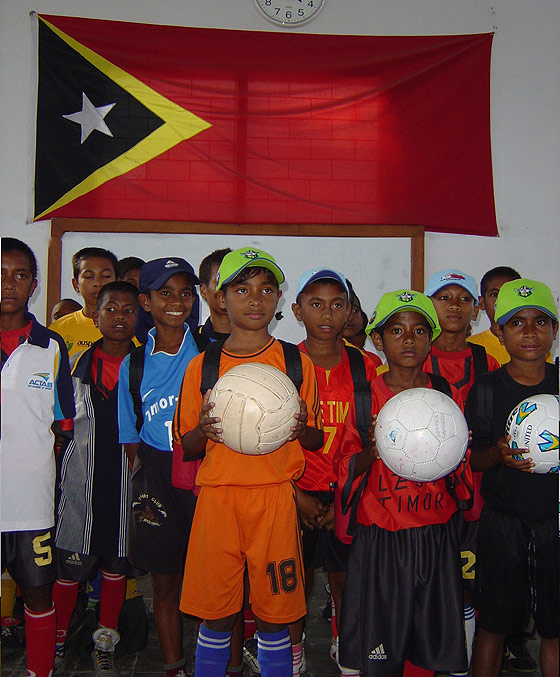 In May 2002, Timor-Leste (Formerly known as East Timor) became the world's newest independent state after 450 years of continuous foreign occupation. 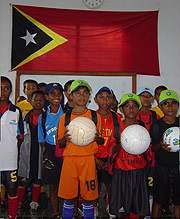 East Timor was under Portuguese rule until 28 November 1975 when it declared its independence. East Timor was invaded by Indonesian troops 9 days later who designated it as province of Indonesia. A referendum, supervised by the United Nations on 30 August 1999 resulted in an overwhelming majority vote for independence from Indonesia. The following month, anti-independence Timorese militias - organized and supported by the Indonesian military - commenced a large-scale campaign of retribution. This led to an estimated 75% of the population becoming displaced and the majority of the country's infrastructure, including homes, irrigation systems, water supply systems, and schools being destroyed. Nearly 100% of the country's electrical grid was also wiped out. On 20 September 1999 the Australian-led peacekeeping troops of the International Force for East Timor (INTERFET) were deployed to the country and successfully brought violence to an end. Dili, the capital of East Timor lies on the northern coast of Timor island at the east most point of the Lesser Sunda Islands. 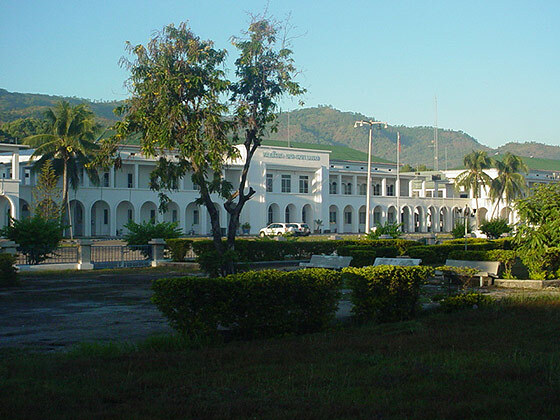 Dili is the primary port and commercial centre for East Timor and is also home to East Timor’s only airport for use by commercial and military flights. Today Dili has a population of approximately 50,800 people, which are predominantly of Malay, Polynesian, and Papuan descent. The vast majority of the population are Roman Catholic. Timor-Leste is one of only three predominantly Catholic countries in Asia and churches scatter the landscape. 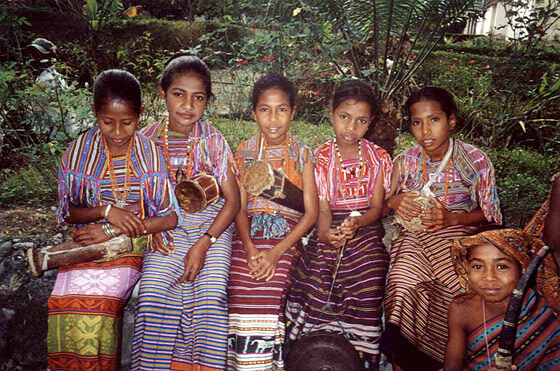 Timor-Leste’s economy is largely supported through agriculture; coffee is the Timor-Leste’s main exports as well as Sandalwood and marble. Industry is limited to printing, light manufacturing, and the production of handicrafts and woven cloth. Off shore oil and gas fields have begun to produce revenue. Nonetheless, unemployment, estimated at 50%, remains a significant problem.